Pain in elbow complaints are common, especially among athletes and those with physical jobs. Inner elbow pain can result from overuse or incorrect form when playing certain sports. For example, baseball elbow pain treatment plans are almost always needed for pitchers, while elbow pain treatment for tennis players and golfers also is very common. Get the best medial elbow pain treatment and all other treatment for elbow pain in NYC to allow you to continue playing the games you love. 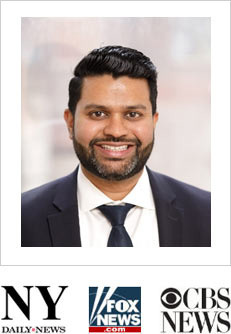 Come see our pain clinic and meet our elbow pain doctor Dr. Melepura to get the pain relief you need in the safe, reassuring hands of the best pain management specialists in NYC. A pain in elbow diagnosis can be difficult because you use your elbow in so many different ways throughout the day. You may even have a hard time explaining to your Manhattan sports medicine doctor where it hurts or when you get that inner elbow pain the worst. But your NYC pain doctor is the only one who can relieve your pain and heal your elbow. It’s a common site for injuries because so many different muscles, tendons and ligaments either originate there or pass through your elbow joint. And since it’s a hinged joint, it makes it all that much higher at risk for overuse injuries and other pain in elbow issues. It’s vital that you provide your sports medicine team with the most accurate accounting of your elbow pain. This information helps them get to the bottom of your discomfort and recommend an appropriate treatment for elbow pain. 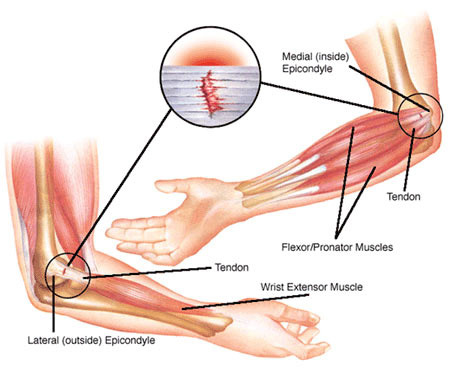 Medial elbow pain treatment may be in order, for example, if you have a job that requires you to use your arms all day. Baseball elbow pain treatment is recommended if you play the game or participate in throwing activities that mimic baseball. After your doctor takes a complete medical history, X-rays may be the next step. Unless you have a bone protruding, imaging can help pinpoint the source of your inner elbow pain. You may need a magnetic resonance imaging (MRI) test if you have chronic pain in elbow syndrome. And an ultrasound often can help your NYC doctor evaluate soft-tissue damage. Your NYC doctor monitors your elbow pain treatment and encourages you to call when the pain worsens, if you see any increased swelling or redness or if you feel pain even when you’re not using your arm. Seek emergency care for severe pain around your elbow joint or if you have difficulty moving, twisting or elevating your arm normally. Strengthen your shoulders through exercise to provide sturdier support for your arms and elbows and keeping stress off your more injury-prone elbow parts. Lose weight to keep excess pressure off your elbows. Stop smoking to maintain increased blood flow and better circulation to prevent inflammation. Build up your forearm muscles to take more of the load off your elbows. Stretch effectively and appropriately before every activity. Use the appropriate equipment for each sport you play — a lighter, graphite tennis racquet or golf club can make all the difference in both your swing and your elbow pain. Learn the proper form for each activity you participate in. Do you have any questions about elbow pain treatment we offer in NYC? Would you like to schedule an appointment with the best rated elbow pain management doctor Febin Melepura MD of pain management clinic in New York ? Please contact our office for consultation with the pain relief specialist in Midtown Manhattan.